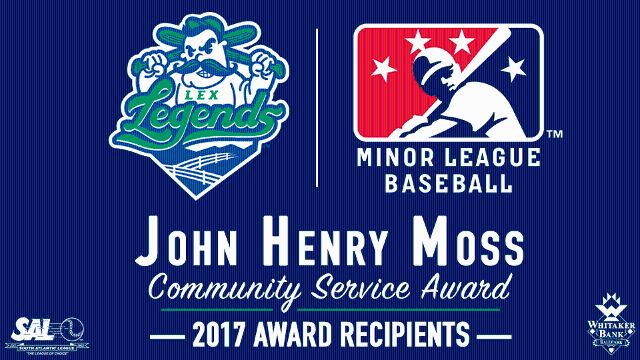 ST. PETERSBURG, Florida – Minor League Baseball today named the Lexington Legends the recipient of the fifth annual John Henry Moss Community Service Award. The award was created in 2013 by Minor League Baseball in honor of the late John Henry Moss, who founded what would become the South Atlantic League in 1959 and headed the circuit until 2007. The Legends will receive their award at the Baseball Winter Meetings Banquet on Sunday, Dec. 10, at the Walt Disney World Swan & Dolphin Resort in Orlando, Florida. The Legends’ staff strives to give the Lexington and Central Kentucky communities more than they expect, and in 2017, the Legends provided $1,083,214 in monetary and in-kind donations to Central Kentucky and the surrounding regions, a 21 percent increase over their 2016 donation total. In their 17-year history, the Legends have donated more than $13 million in monetary and in-kind contributions to non-profit organizations and communities in the region. In recognition of their commitment to the community, the Legends claimed the South Atlantic League Community Service Award in 2017 and 2013 and the South Atlantic League Club Merit Award in 2016. One hundred percent of the Legends’ front office staff serves or participates with at least one charitable or civic organization. The Legends go to great lengths to serve the youth of their community by providing assistance to several educational initiatives which includes a “Hit the Books” reading program, a STEM/STLP based program and Legends Character Awards with local elementary schools. Also included is an entrepreneurial project-based marketing and promotional learning unit called “Stache Tank” with a local elementary, middle and high school, where students are challenged to come up with business pitches for a specific project within budget limitations. These projects are then carried out and come to fruition during the Legends baseball season. Additionally, their mascots, Big L and Pee Wee, made over 200 appearances around Central Kentucky in 2017. The donation is a continuation of the RiverDogs and Fox Music’s joint effort to foster the musical disciplines throughout Charleston while benefitting the club’s partner in MUSC Health. Fox provided a piano played by Charleston Mayor John Tecklenburg on the RiverDogs’ Opening Night in 2016 before the piece of equipment was donated to the music department of nearby Burke High School. 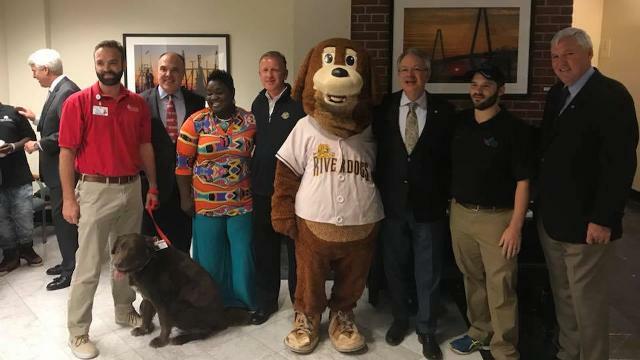 “The ability to combine the RiverDogs Opening Night festivities with Mayor Tecklenburg and the city of Charleston, MUSC Health and one of Charleston’s successful family businesses speaks volumes to the strength of our community,” said President and General Manager Dave Echols. The Charleston RiverDogs, the Class A affiliate of the 27-time World Champion New York Yankees, are Charleston’s leader in affordable sports entertainment. With a “Fun is Good” mentality, Charleston has impressed off the field with zany promotions and consistently are one of the top drawing teams in the South Atlantic League. The RiverDogs develop the next major league stars for the Yankees at one of the finest ballparks in Minor League Baseball, Joseph P. Riley, Jr. Park and just celebrated their 21st season in the storied venue. The RiverDogs had a record-setting year in 2017, filling the stands and having even more fun along the way, drawing more than 305,000 fans to 68 home games. GRAND CHUTE, WI – Fang’s Reading Club is open for enrollment! The incentive-based rewards program that encourages reading development in children from grades K through 5 is presented by Learning Rx, Myndology, and Tutor Doctor. Teachers and reading coordinators have until Friday, November 17 to get involved in this popular Wisconsin Timber Rattlers program. Personnel at participating schools have the flexibility to design the program to meet the needs of their students. The Timber Rattlers and various sponsors will provide students with incentive prizes as they reach goals within the program. Students who meet all of their goals for the program are rewarded with a FREE ticket as part of their school’s Family Night at a Timber Rattlers game in 2018. An introductory letter to be sent to parents at the start of the program. Baseball related verification aids to help parents and teachers track the progress of participants. Incentive prizes for students as they reach each goal set by the coordinator. A FREE ticket to a 2018 Timber Rattlers game with a hot dog & soda voucher for students who complete the program. Information to aid schools in setting up their Family Night at Neuroscience Group Field at Fox Cities Stadium. 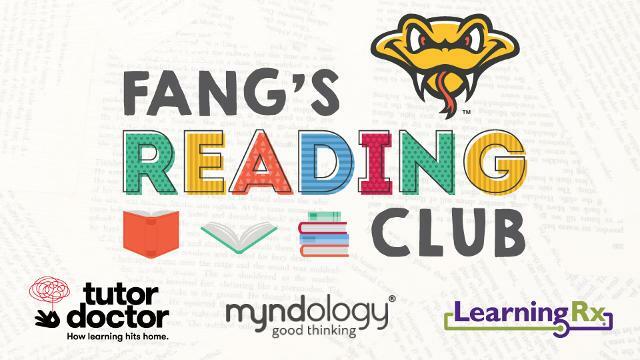 Please head to Fang’s Reading Club page at the Timber Rattlers website for full details, including a sample timeline, dates for Reading Club games, and how your school can schedule a visit from Fang. You may also look at this year’s Reading Club brochure here. The club had 200 schools and over 47,000 students participate in the program last year and Fang is looking to make this year’s club even bigger! Contact Dayna Baitinger at dbaitinger@timberrattlers.com, (800) WI-TIMBER, or (920) 733-4152 if you have any questions or would like to register your class or school for this year’s club. We’ve enhanced our Fundriasing Program heading into 2018! 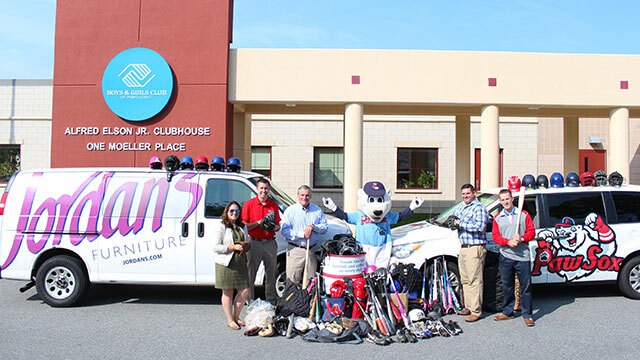 LAKEWOOD, NJ – The BlueClaws have upgraded their fundraising program heading into 2018, crafting improved and varied offerings compatible with all types of groups and organizations. Buster’s 250 Fundraising Program – In this program, groups purchase 250 tickets at $7 per ticket and re-sell them for $11, making $4 per ticket. A maximum of 20 volunteers can work a BlueClaws concession stand, earning $37.50 per person, an additional $750 for the group. Through this program, groups can earn $1,750, or more with additional tickets. RipTide’s 125 Fundraising Program – In this program, groups purchase 125 tickets at $8 per ticket and re-sell them for $11, making $3 per ticket. A maximum of 20 volunteers can work a BlueClaws concession stand, earning $31.25 per person, an additional $625 per person. Through this program, groups can earn $1,000, or more with additional tickets. Youth Sports Organizations – Youth Sports Organizations that participate in the BlueClaws Fundraising Program will receive a Pre-Game Parade, the Future BlueClaws (up to 18 players run on the field with the BlueClaws for the National Anthem), Clawstars of the Game (up to 30 players can play catch on the field prior to the game), and a First Pitch for up to two members of the group. Additionally, the BlueClaws will purchase a sign at the organization’s Little League field (Program A). Schools – Schools that participate in the BlueClaws Fundraising Program receive a Pre-Game Parade and a ceremonial first pitch. A school chorus can sing the National Anthem or God Bless America, plus the school band can perform on the field before the game. Additionally, Buster will attend an assembly at the school. Dance & Entertainment Organizations – These groups will receive an on-field performance before the game and a table on the concourse to promote their studio and additional programs. Any pre-game performance will be posted on the BlueClaws Facebook page shortly after the performance. SAN JOSE, CA– The San Jose Giants released today their 2017 Community Report. The report is an overview of the organizations outreach and community involvement as well as a summary of games and events at historic Municipal Stadium. From a record number of mascot and player appearances, donations and fundraising endeavors to the celebration of the #DiamondSeason, the San Jose Giants connected with and served the South Bay in more ways than ever before. The 2017 Community Report demonstrates the variety of charitable efforts the San Jose Giants are involved with both inside and outside the stadium gates. Highlights of the report include the nearly 200 community appearances made by San Jose Giants personnel, special community-centered nights and events at Municipal Stadium, the #DiamondSeason and introduction of We Care Wednesday, extensive fundraising programs, events in partnership with the Giants Community Fund to help underserved youth and in-kind donations to well over 500 local and national organizations. For the complete 2017 San Jose Giants Community Report, click on the link below. 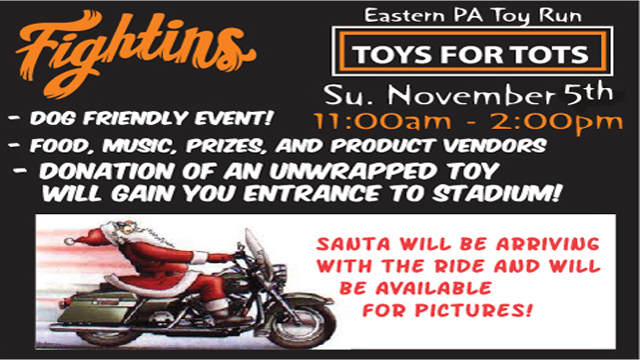 (Reading, PA) – FirstEnergy Stadium will welcome the 11th Annual Eastern PA Toy Run presented by Classic Harley-Davidson on Sunday, November 5th from 11:00 a.m. to 2:00 p.m. in the Tompkins VIST Bank Plaza at FirstEnergy Stadium. Upon his arrival at noon, Santa will be on hand until 2:00 p.m. for photos with those on both the naughty and the nice list. There will also be live music on the Hardball Cider Performance Stage throughout the afternoon. The Steve Moyer Subaru Fightin Phils Team Store will also be open with special holiday sale pricing, so fans can pick up discounted gifts for the holidays. There will be steep discounts of up to 50% for one day only. Those attending will be able to check out FirstEnergy Stadium signage and player line-up cards available for purchase. Fans can own a piece of FirstEnergy Stadium history! 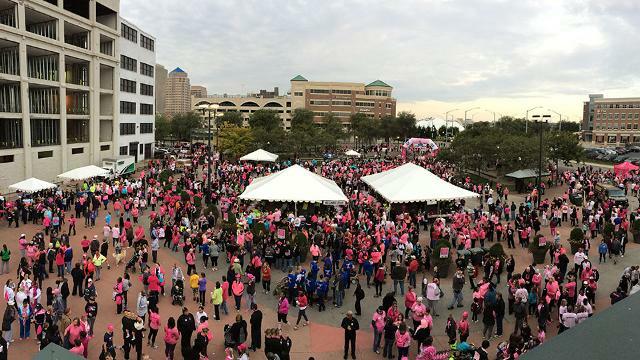 DAYTON, OHIO – The 2017 “Making Strides Against Breast Cancer” walk will take place at Fifth Third Field on Saturday, October 21. Registration will begin at 8:00 a.m. The walk will start at 9:00 a.m. This event is part of a national fundraising effort. In 2016 alone, over 1 million walkers across the country collected more than $60 million to help fight this disease. One in eight women will be diagnosed with breast cancer, and it is estimated that over 40,000 lives will be lost to breast cancer in 2017. Breast cancer is the most common cancer diagnosed in women (excluding skin cancer) and second only to lung cancer as a cause of cancer death in women. You can help win the fight. The walk and donations go directly to the support, transportation, recovery, and other needs that arise with the diagnosis of breast cancer. The American Cancer Society also invests in groundbreaking breast cancer research to better understand, prevent, find, and treat the disease. October is Breast Cancer Awareness month. The Dragons website, www.daytondragons.com, has gone pink in October in support of efforts by Kettering Health Network to increase Breast Cancer awareness in the Miami Valley. To register for the walk, please visit www.makingstrideswalk.org/Dayton. SAN JOSE, CA– The San Jose Giants have announced their plan to support victims affected by the catastrophic fires in Northern California. Wildfires began on Sunday, October 8 and, as of Friday morning, have tragically resulted in 31 confirmed deaths, hundreds of missing person reports, over 3,500 destroyed structures, 20,000 evacuations and more than 220,000 scorched acres. The devastation is being forged by nearly two dozen sizeable fires, stretching resources thin. The firestorm is currently one of the deadliest and most damaging in California state history. The San Jose Giants have designated Municipal Stadium as a drop-zone for supplies and will be taking a delivery truck north for those impacted by the fires on October 19. Specific items in need include: air mattresses, cots, pillows, blankets, phone chargers, dry and canned pet food, animal crates, food bowls, can openers, diapers, baby strollers, personal protection equipment (masks, latex gloves, etc. ), duct tape, camp stoves, propane, water, non-perishable food items, baby food, personal hygiene products (toothbrushes, toothpaste, deodorant, baby wipes, soap, etc. ), toilet paper, feminine hygiene products, Band-Aids, antibacterial, duffle bags, children’s books, coloring books and coloring supplies. The San Jose Giants will contribute water, clothing, hats and blankets amongst other needed items. The organization’s front office staff is currently collaborating with local organizations in determining a drop-off location. Municipal Stadium’s Box Office is open to collect supplies from 10:00 AM to 5:00 PM Monday through Thursday, 10:00 AM to 1:00 PM on Friday and 2:00 to 5:00 PM. For more information call 408.297.1435. BOWIE, Md. – 2017 proved to be a successful year at Bowie Baysox games for the Diamond Dog of the Game as a total of nine dogs found new homes over the course of the season. The Baysox partnered with seven local organizations to bring different canines out to the ballpark on a nightly basis: Chesapeake Cats & Dogs, Humane Society of Calvert County, Partnership for Animal Welfare, PG County Shelter, SPCA of Anne Arundel County, SPCA/Humane Society of Prince George’s County and Bowie CLAW. The Bowie Baysox season is presented by Money One Federal Credit Union. The 2017 Baysox season has ended, but the team will return in 2018 to celebrate its 26th Season. The team’s 2018 home opener will be Thursday, April 5 against the Harrisburg Senators at 6:35 p.m. To keep up with Baysox news during the offseason, visit www.baysox.com. WHITAKER BANK BALLPARK (Lexington, KY) – Fourth grade students at Russell Cave Elementary will put on their dancing shoes and take a new approach to Arts and Humanities curriculum through the Legends community partnership with the not for profit “Dancing with the Students,” based out of Philadelphia, Pennsylvania. 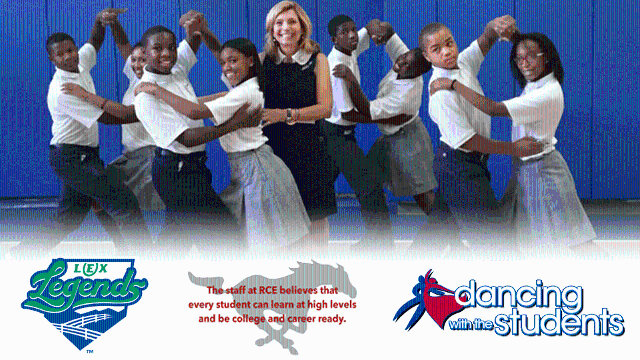 “Dancing with the Students” came to Lexington in the Spring of 2017 via Lexington Legends Secretary and Principal Sue Martinelli Shea, who founded the non-profit organization in 2005. The first students involved with the program in Lexington were sixth, seventh and eighth graders at Crawford Middle School, and the expansion of the program will mirror the first, having Russell Cave Elementary fourth graders also competing in 10 weeks of dance class and 9 weeks of instruction with the 10th week culminating in a grand finale competition. The students will be taught in two sessions by Arthur Murray trained dance teacher Rae Mickelwait and will learn four dances: Waltz, Tango, Merengue, and Swing. The first class will be October 9 & 10, 2017 at 9:30am with the grand finale slated for December 18, 2017. Arthur Murray dance instructor Rae Mickelwait added to Lionberger’s sentiments and said “I am so excited to continue to share my passion for ballroom dancing this semester with more children! Through dancing we get to convey the importance of team work and partnership, eye contact and even dressing the part for a performance. All these skills can help children on their journey to success in high school, college and beyond. I am so very blessed to be a part of “Dancing with the Students,” to be out in the community, as well as teaching at Lexington Arthur Murray. 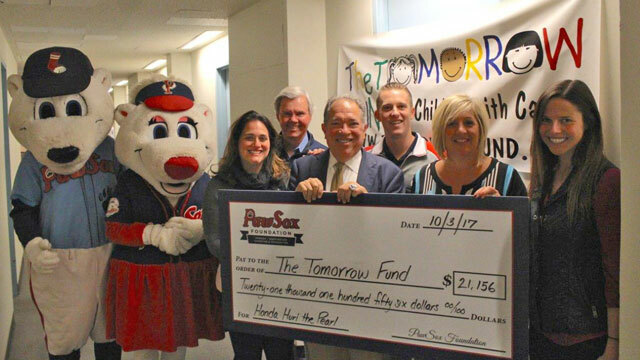 The PawSox Foundation today presented $21,156 to the Tomorrow Fund at Hasbro Children’s Hospital in Providence, RI, to help families of children who are battling cancer. The funds are generated at the PawSox’ nightly “Hurl the Pearl” contest presented by six local Honda dealers. 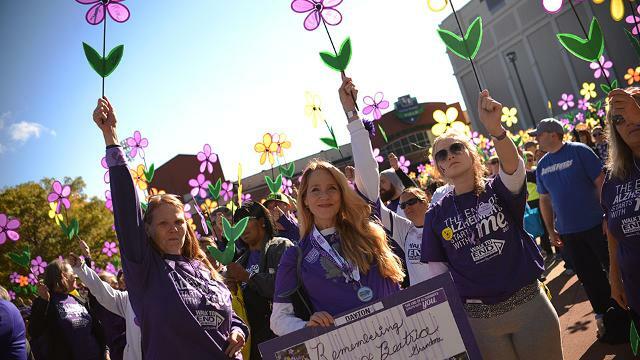 Dayton, Ohio-The Alzheimer’s Association invites you to join them at the Dayton Walk to End Alzheimer’s® on Saturday, October 7. The Walk will be held at Fifth Third Field – home of the Dayton Dragons. Registration will open at 8:30 a.m., and the Opening Ceremony will begin at 10:00 a.m. The Walk will start following the opening ceremonies. The Alzheimer’s Association Walk to End Alzheimer’s is the world’s largest Alzheimer’s awareness and fundraising event. Held annually in more than 600 communities nationwide, this inspiring event calls on participants of all ages and abilities to reclaim the future for millions affected by the sixth-leading cause of death. Alzheimer’s is the only disease in the top 10 leading causes of death without an effective treatment or a cure. Alzheimer’s disease is an epidemic, currently affecting more than 200,000 individuals in the state of Ohio. With your help, we can end this devastating disease together. The end of Alzheimer’s starts with you. Will you join us on October 7? 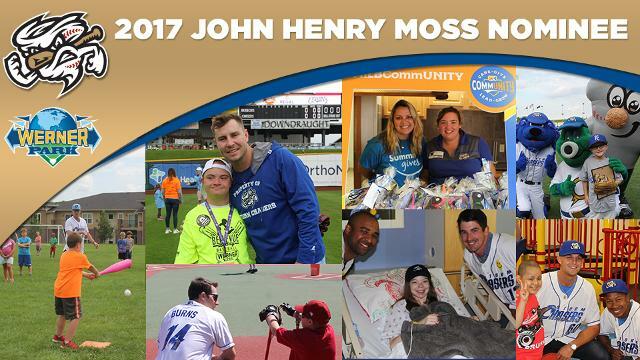 The Pacific Coast League has announced that the Omaha Storm Chasers’ franchise is the circuit’s nominee for Minor League Baseball’s John Henry Moss Community Service Award. Each league in Minor League Baseball nominated an organization, with the overall winner announced at the annual Baseball Winter Meetings in Orlando, Florida in December. 73 different organizations were provided a platform at Werner Park at the Sprint Community Organization of the Night. Over $18,000 was raised through the McDonald’s and Huber Chevrolet Hurl the Pearl promotion for the Ronald McDonald House, while more than $21,000 was raised for various local charities including Methodist Hospital Founation and Moving Veterans Forward via four Jersey Auctions. 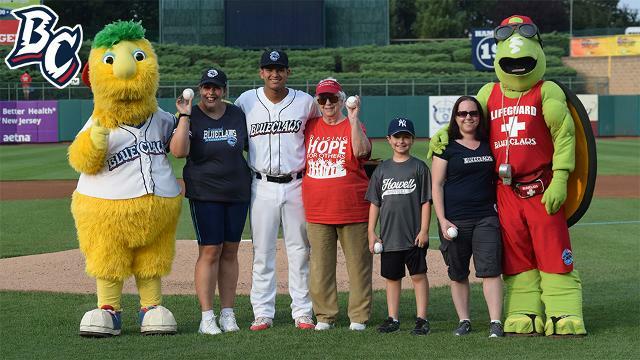 Initiatives also included Hy-Vee Canned Food Sundays, with nearly 5,000 items donated to Heartland Hope Mission, in addition to Chasers FUNdamentals, with Chasers Charities teaming with DREAM to put on baseball clinics introducing youth to baseball. Chasers Charities also offered the Chasin’ Dreams Grant, donating a total in excess of $9,000 to help non-profit organizations that operate youth softball/baseball programs make major renovations. Two Jackie Robinson Athletic Scholarships worth $1,000 each were also awarded through Chasers Charities and The Weitz Company, while partnering with the Nebraska State Treasurer’s Office for the 15th annual Why I Want To Go To College Essay Contest. The Storm Chasers also held their third annual Chasers Community Week presented by Summit Dental, which included the Jirschele Family Memorial Golf Outing to help benfit the Muscular Dystrophy Association, as well as player appearances at Children’s Hospital and the Southwest YMCA and hosting Bellevue Buddy Baseball at Werner Park. The nine-day event culminated in hosting The Wall That Heals, an exhibit that featured a half-scale replica of the Vietnam Veterans Memorial Wall in Washington D.C. The exhibit was open 24 hours a day from August 3-6 at Werner Park, with the Storm Chasers’ Military Appreciation game preceded the exhibit’s closing ceremonies. Werner Park also served as a site for local organizations to use the stadium as a venue to host large-scale fundraisers. Those special events included the “Boxer 500” to benefit the Great Plains Colon Cancer Task Force, the “Walk to Defeat ALS”, SHARP Race towards Brain Aneurysm, Heart Heroes Run, and Nebraska 9/11 Memorial Stair Climb. (Reading, PA) – The Eastern League has announced the Reading Fightin Phils have been nominated for the John Henry Moss Community Service Award. For the John Henry Moss Community Service Award, which is given to a club that demonstrates an outstanding, on-going commitment to charitable service, support and leadership, the Eastern League has recognized the Reading Fightin Phils. The winner of this award is selected by Minor League Baseball and will be honored at the Baseball Winter Meetings in Orlando, Florida. 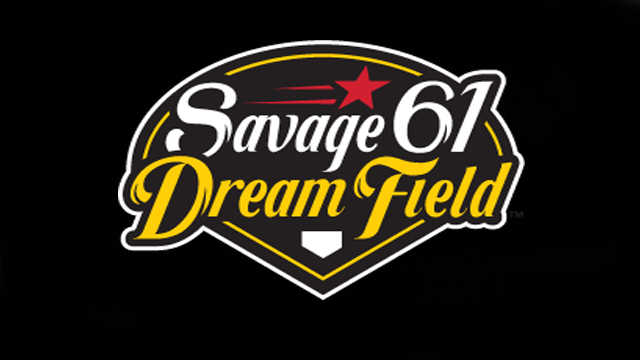 This past June, the Fightin Phils broke ground on the brand new Savage 61 Dream Field, which is a facility that will provide children with physical and developmental disabilities the opportunity to play baseball. The unique rubberized surface is the first field of its kind to be built in Berks County. The project is being fully funded by Baseballtown Charities, the Reading Fightin Phils charitable organization. As part of the fundraising efforts the Fightin Phils hosted the first ever “Dinner Under the Stars” last October and raised $650,000 towards the project. Those fundraising efforts for the Dream Field were in addition to the regular charitable efforts of the franchise that included in-stadium fundraising and support for numerous charitable organizations. Baseballtown Charities’ Dream League is a registered 501(c)3 non-profit organization based in Reading, Pa. that focuses on making dreams come true one pitch at a time. Since 2002, Baseballtown Charities has worked to build inclusive baseball diamonds as well as bonds between players, teammates and supportive communities. For more information, visit www.baseballtowndreamleague.com. The Eastern League also announced their nominations for the Rawlings Woman Executive of the Year Award (Richmond), the Charles K. Murphy Patriot Award (Binghamton), the Larry MacPhail Award (Erie), and the John H. Johnson President’s Award (Richmond). OKLAHOMA CITY – The Oklahoma City Dodgers, the Oklahoma Highway Safety Office, and Safe Kids Oklahoma are teaming up to sponsor a free car seat check from 8 a.m. – 11:30 a.m. Saturday, Sept. 16 in the Joe Carter Lot at Chickasaw Bricktown Ballpark. The free car seat check will take place during Child Passenger Safety Month, which is dedicated to helping parents and caregivers make sure their children ride as safely as possible, every trip, every time. Saturday’s event aims to raise awareness about the dangers children face if they are buckled in improperly. “It’s our job to keep our children safe,” Sisson said. “Get your car seats checked. Make certain they’re installed correctly, and that your kids are in the right seats and are buckled in correctly. Even if you think your child is safe, check again, so you can be sure that your child is the safest he or she can be while traveling. Technicians will be stationed east of Chickasaw Bricktown Ballpark in the Joe Carter Lot Saturday. Participants may enter at the east end of the parking lot along Charlie Christian Avenue, just north of East Reno Avenue and west of McDonald’s. WHITAKER BANK BALLPARK (Lexington, KY) – The Lexington Legends have been named the 2017 Community Service Organization of the Year by the South Atlantic League, which recognizes a club’s outstanding, on-going commitment to charitable service, philanthropy and leadership within their community. The award is one of the league’s Outstanding Achievement Awards, which are announced annually following the conclusion of the regular season. In the five seasons in which the award has been given, the Legends have won twice, previously winning the inaugural award in 2013. Throughout the 17 years of their history, the Legends contributed a total of more than $13 million to hundreds of charitable organizations in central and eastern Kentucky. The 2017 season donation total tops close to $1.1 million, a 21% increase in community support from the 2016 season. 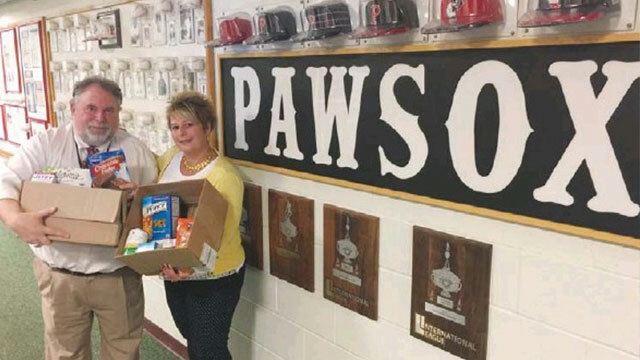 The Legends Community Organization of the Night program puts a charitable organization in the spotlight at every home game, and numerous special events and fund-raisers are held at Whitaker Bank Ballpark throughout the year. For more information, please contact Sarah Bosso at sbosso@lexingtonlegends.com or 859-422-7855. The Legends, a Single-A affiliate of the Kansas City Royals and a member of the South Atlantic League, recently completed their 17th season in Lexington, Kentucky at Whitaker Bank Ballpark. They open the 2018 season on Thursday, April 5, 2018 against the Charleston RiverDogs, an affiliate of the New York Yankees. For ticket information, call 859-422-7867 or visit www.LexingtonLegends.com. ROUND ROCK, Texas – Wish For Our Heroes will be at Dell Diamond for the 9th annual Reckless Kelly’s Celebrity Softball Jam this Sunday collecting donations to aid in Hurricane Harvey cleanup efforts. The non-profit said the biggest need is for cleaning supplies, garbage bags, rakes, tarps, tools and gift cards to home improvement stores. Additionally, they will collect new and gently used sports equipment and musical instruments to take to those in the affected areas that lost their gear or instruments in the storm and its aftermath. All proceeds from the Celebrity Softball Jam are going straight to help with Hurricane Harvey relief efforts through Rebuild Texas. There will be a silent auction on the concourse featuring an autographed Josh Beckett jersey, a Willie Robertson autographed baseball and more. Proceeds from the auction will also go to Rebuild Texas. The Jam features a celebrity softball game followed by a two-stage concert featuring over 30 acts. An all-star roster will take the field for an antic-filled celebrity softball game. Former Longhorns Ricky Williams, Cat Osterman, Quan Cosby, Kasey Studdard, Brooks Kieschnick and Greg Swindell will join MLB All-Stars Josh Beckett and Norm Charlton and more in the dugouts at Dell Diamond. The packed musical lineup features Jack Ingram, American Aquarium, Randy Rogers, Roger Creager, Wade Bowen, Kevin Fowler, Cody Canada & the Departed, Midnight River Choir, Suzy Bogguss, Jamie Lin Wilson, John Evans, Charlie Robison, Rosie Flores, Jessie Dayton, Jason Eady, Mike and the Moonpies, Shinyribs, Bart Crow, Courtney Patton and more. Tickets for the 9th Annual RKCSJ are on sale now for just $25 and can be purchased online at RKCSJ.org. Tickets will go up to $30 on the day of the event.